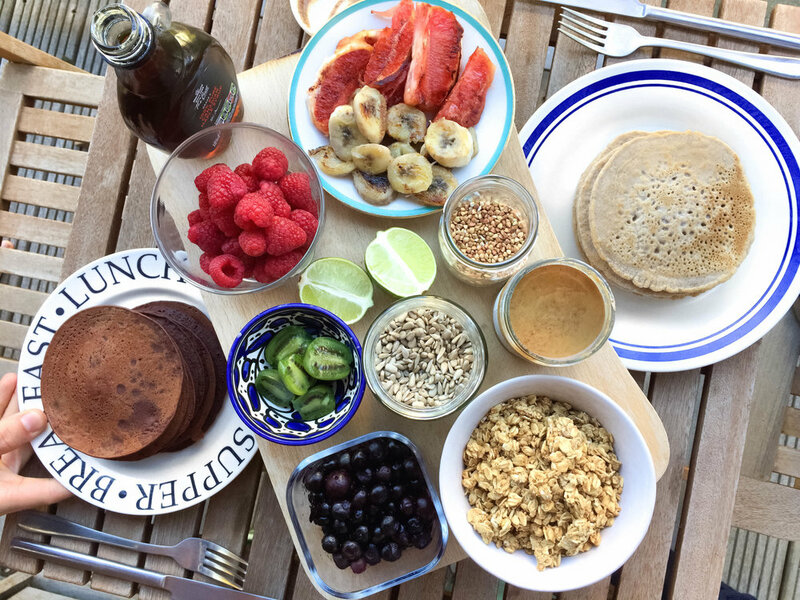 6 ingredient nutritious pancakes perfect for reheating/freezing. Gluten Free, Nasty Sugar Free, Dairy Free. There’s something about a fluffy stack of pancakes that is just so exciting. The endless possibilities of toppings and the ‘oohing’ and ‘ahhing’ as you eat them which brings people together. For me that was quickly overridden by the feeling after eating them. Heaviness, guilt and almost a sense of stress as I planned how I was going to go to the gym or just have a salad for lunch to ‘make up for it’. As many people tend to do, I used to ignore that feeling and spent years eating foods which left me feeling nasty and negative. It’s been a long battle but I’ve arrived at a state of peace with food and I want to share how; Mindful Eating. Taking responsibility when choosing something to eat, eating that choice with appreciation, recognising how you feel afterwards and then making a decision whether to eat it again. Every meal is an opportunity to feel happier. Food has that power. You just have to choose it. 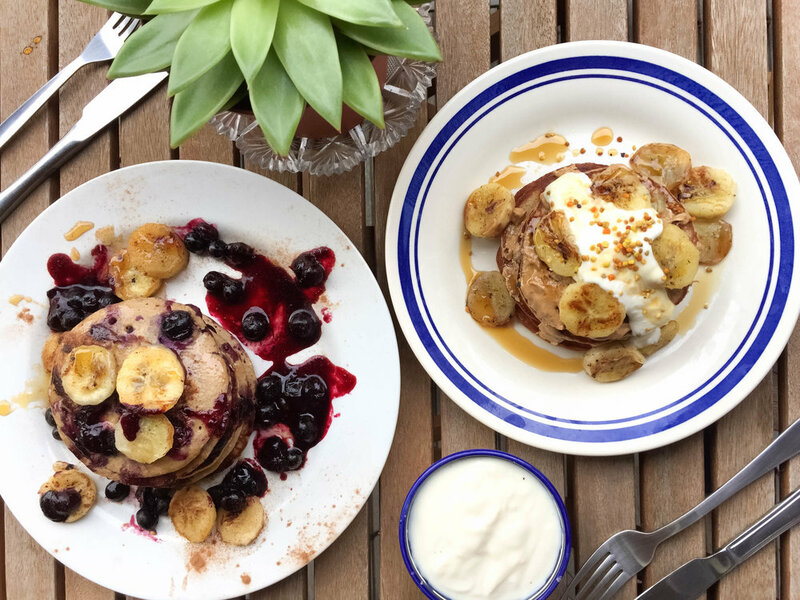 Let’s keep the fuzzy feelings associated with pancake filled mornings and make better choices so they give us nutrition, energy and happiness long term. 2. Blend all ingredients together until evenly combined. 4. Lightly grease the pan with coconut oil and pour to desired size. 5. Cook for 1-2 minutes on the first side. Flip and cook for a further 30 seconds just to seal and keep fluffy. Tip - A good indication of if they’re ready to flip is when you see a couple of bubbles. It will depend on your stovetop and quality of pans. 6. Remove pancakes from heat and repeat until your batter is gone. 7. Top with your favourite fruits, nuts, seeds and syrups. 8. Take an Instagram worthy photo…then eat.